Plants that grow well with pumpkins are good pumpkin companion plants. Planting a pumpkin with companion plants isn’t intended to combat vegetable loneliness, but rather to help it grow better either because companions meet the pumpkin plant’s needs in some way, or because the companions keep pumpkin pests away. If you are planting pumpkins in your garden, it pays you to learn something about companion planting with pumpkins. Read on for more information about plants that grow well with pumpkins. 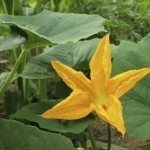 The first time you hear about pumpkin companion plants, you may feel confused about what companion planting means and how it can aid in the garden. 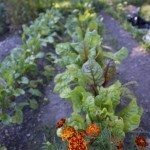 Companion planting with pumpkins or other vegetables involves grouping together garden plants that help each other to grow. 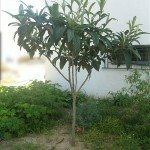 Other plants contain substances in their roots or foliage that repel insect pests. The strong odor of some plants, like garlic and onion, can disguise the odor of plants like roses, keeping insect pests away. 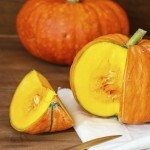 A variety of plants work well as pumpkin growing companions either because they help the pumpkin plant stay healthy and productive, or because the pumpkin plants aid them in some way, or both. One typical example of companion planting with pumpkins is interspersing corn, beans and pumpkins in the same bed. The beans can use the cornstalks as support structures to climb up, while the massed foliage of pumpkins keeps down the weeds. 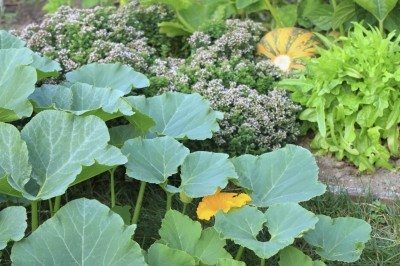 Melon and squash are also beneficial as pumpkin companion plants. Some plants that grow well with pumpkins are beneficial because they enhance the vegetable’s flavor. Marjoram, if used as one of the pumpkin growing companions, is said to produce better tasting pumpkins. Nasturtiums keep bugs and beetles away. Marigold, oregano and dill all repel destructive insects, like the dreaded squash bug. Not every plant will be good for companion planting with pumpkins. Intercropping the wrong species can cause your pumpkins growing problems. For example, experts tell gardeners not to plant pumpkin near potatoes.